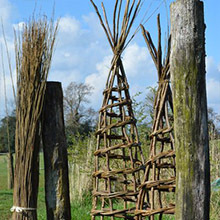 Plant supports for growing sweet peas, runner beans, clematis, or to add height to any border. 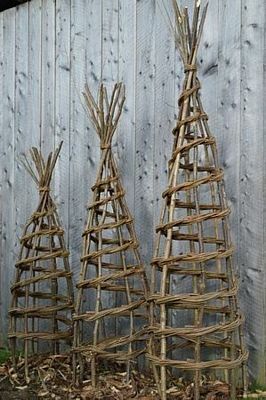 We make three sizes; 4' 5' and 6', all with an extra six inches to anchor into the ground. 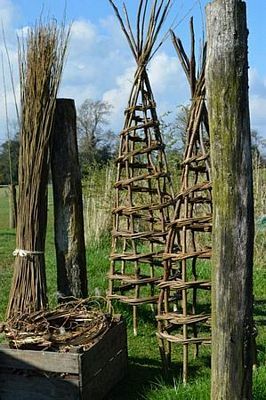 We make these strong plant supports using our locally coppiced hazel for the uprights, and Somerset willow for the spiral weave. 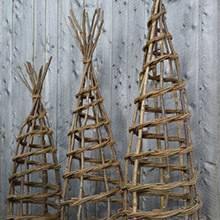 Available directly from us at Westow Grange Cottage, or our local stockists.